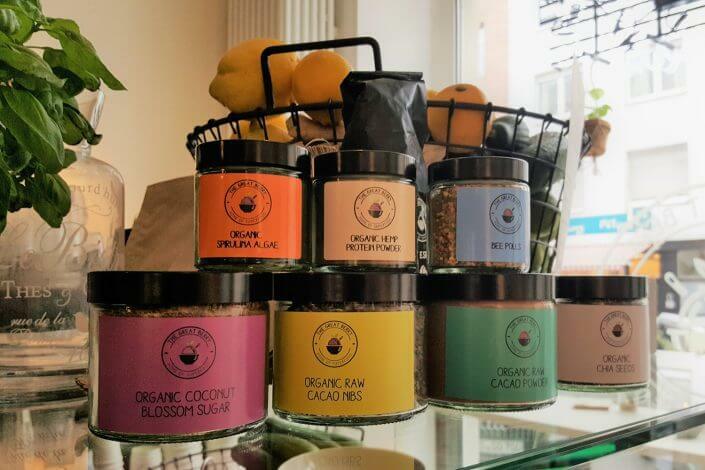 Food writer Julia Floss explores Cologne’s superfood and smoothie scene. 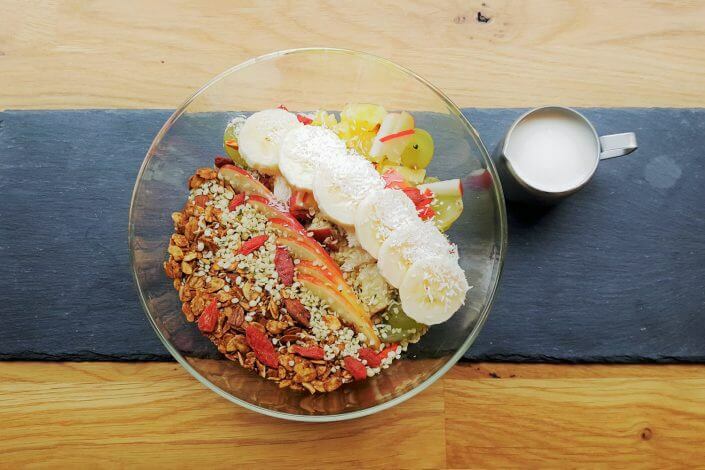 Who makes the freshest juices, who serves the healthiest granola bowl? Here’s Julia’s small but exquisite selection. 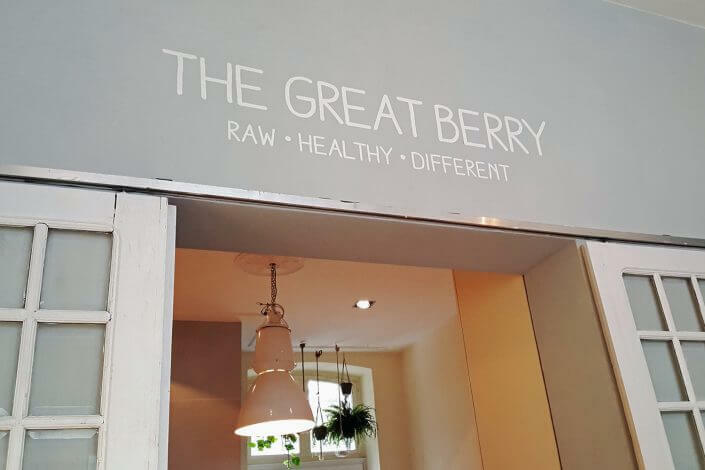 The Great Berry is the ultimate superfood temple in the Belgian Quarter. 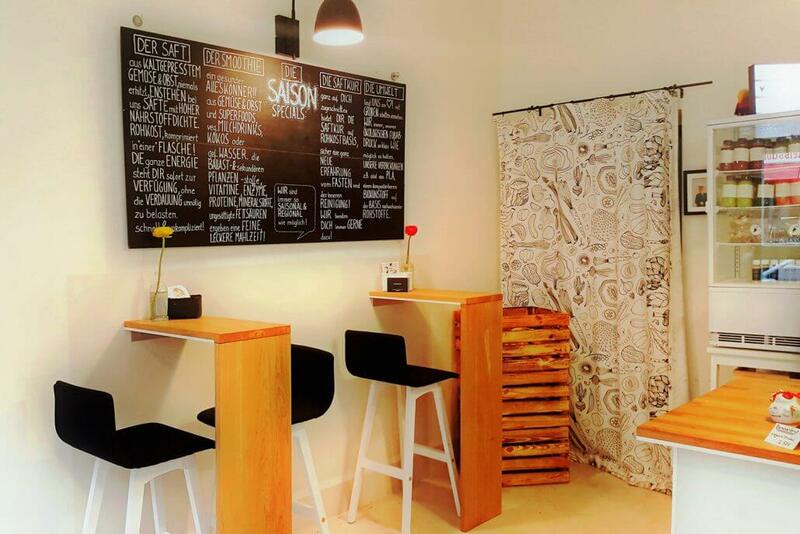 Since opening their tiny oasis in June 2016, Alex Müller-Bünzow and Laura Uedelhofen have supplied their guests with everything that’s healthy in this world: smoothies, juices, bowls, salads and lunch snacks. This pretty space with its wooden floors, folding doors and fluffy cushions could be mistaken for an urban living room. The only problem? One is too spoilt for choice. The number of different smoothies alone rises to 14. 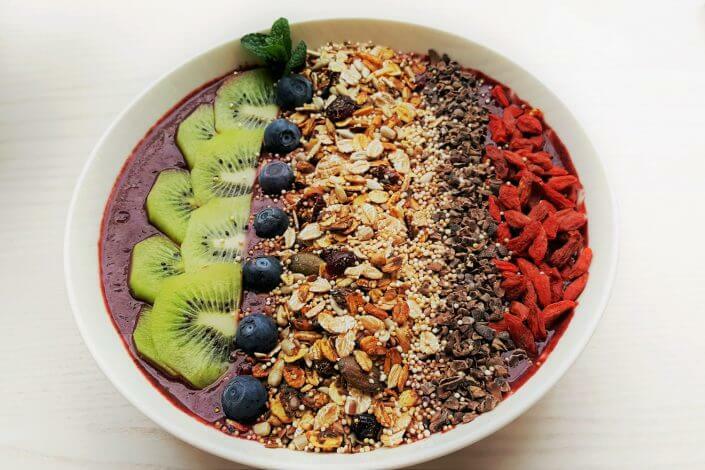 The menu board also lists 12 different bowls, each available with a fruit, smoothie or yoghurt base. 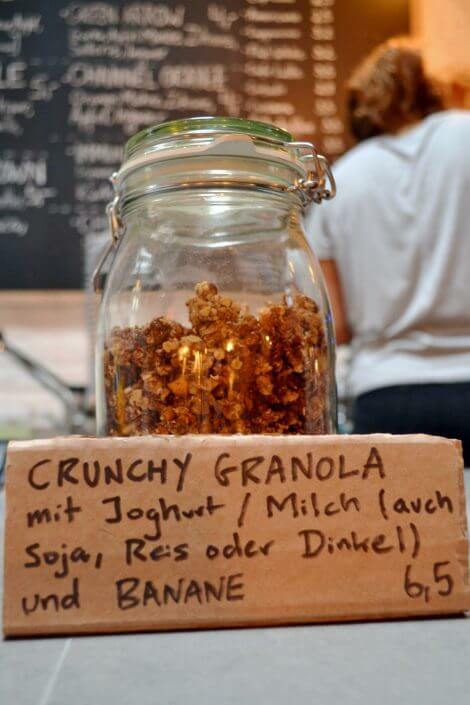 And if you’re still not sure, you can ask for your favourite mix to be put together right there. The delicious sandwiches and wraps in the display case don’t make matters any easier. 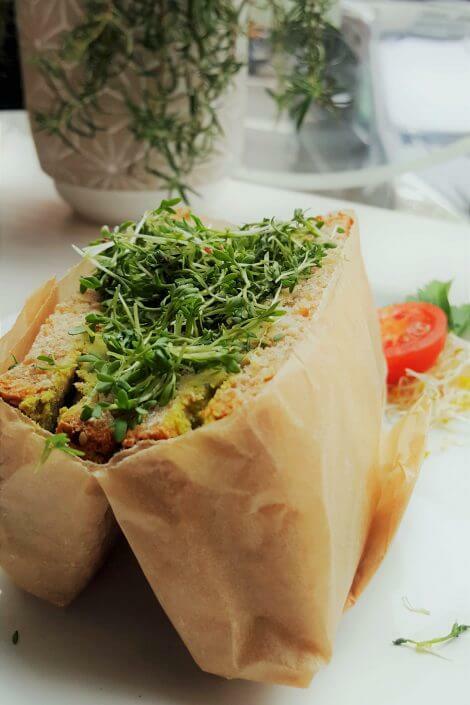 Avocado on pumpkin whole-wheat, or maybe the quiche of the day? The only solution is to keep coming back to work your way through. 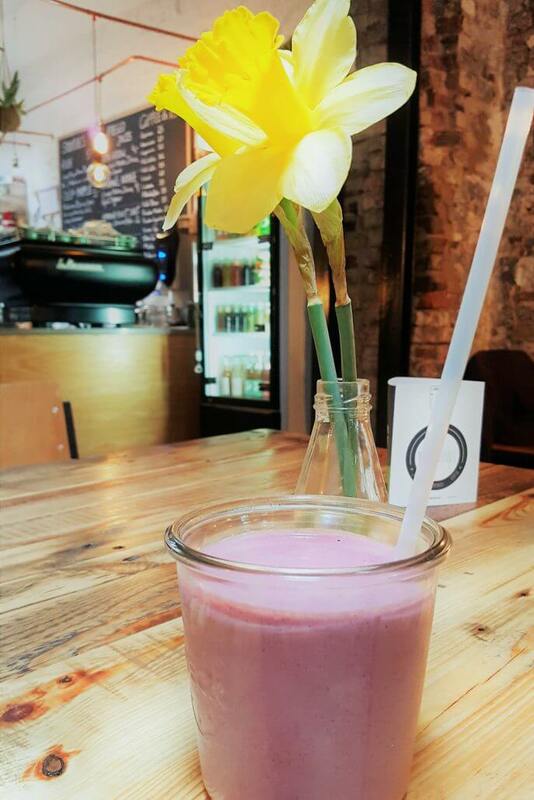 Cologne’s prime juice bar, whose name translates to Cold Press, reigns supreme in the Südstadt (South City). This small, minimalist raw food store is just a stone’s throw from busy Chlodwigplatz square, with a no-frills, nutrient-rich offering largely based on fruit and veg. 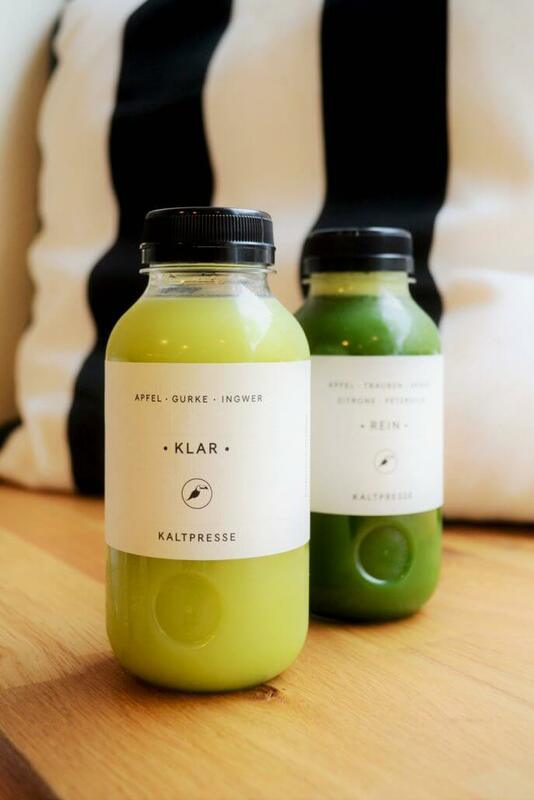 The cold-pressed juices, with names such as Glück (happiness), Klar (clear) and Rein (pure), are served in handy reusable bottles. 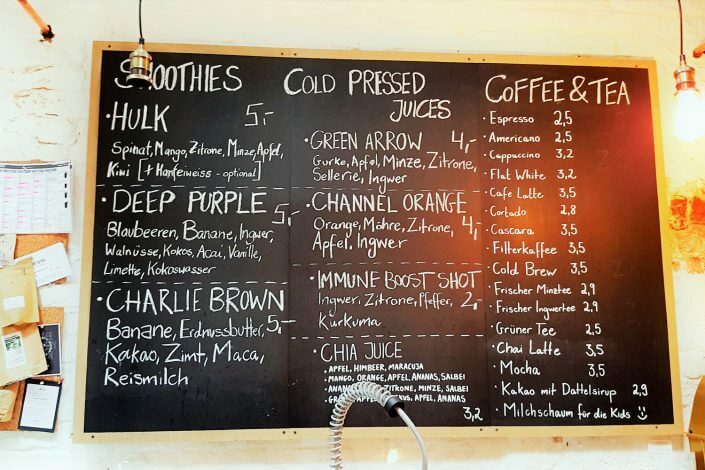 The names of the smoothies are also minimalist but slightly more descriptive, calling to mind wild but presumably happy animals: Wiesel (weasel), Zebra, Giraffe… The entire menu is totally vegan and incredibly healthy. 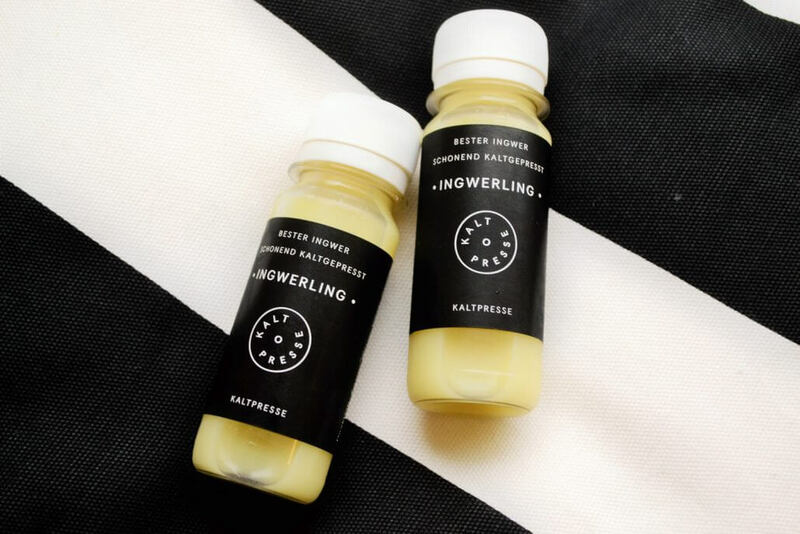 Ingwerling is the shot du maison, a super-spicy immunity-boosting drink made of lemon and ginger. 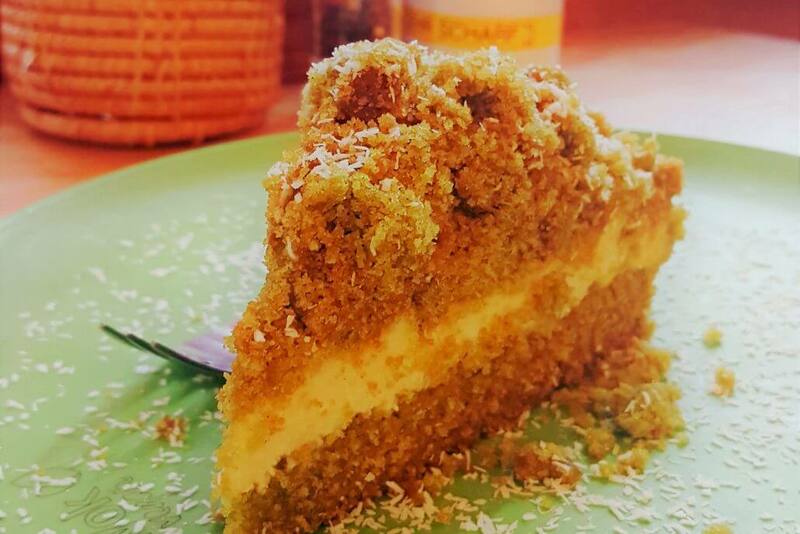 There’s no chance of succumbing to the flu if you’ve had this one! The muesli bowl with home-made granola and chia pudding is served up with lashings of fresh fruit, hemp seed and coconut flakes. 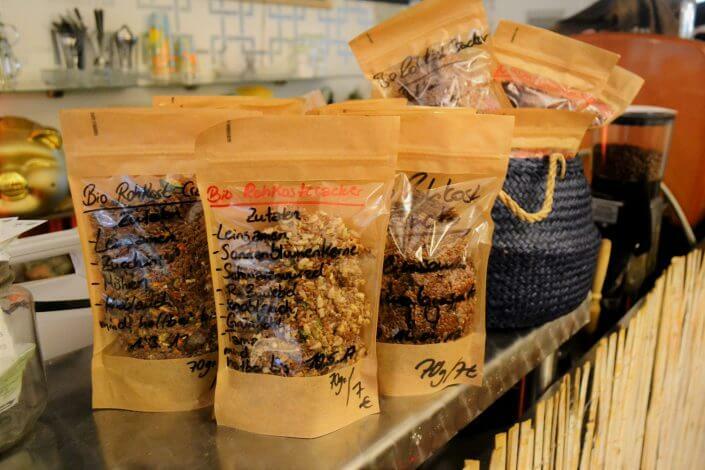 Home-made sweet snacks round off the raw food menu: vegan chocolate and “energy balls” made of nuts and dried fruit. In a courtyard right around the corner from legendary cinema Off Broadway is this hidden paradise. Its name is spelled out in light bulbs, so you know you’re in hipster country now. The courtyard sports a bicycle on the wall, there’s a swing hanging off the tree and the place is dotted with pretty flowerpots on wooden pallets. 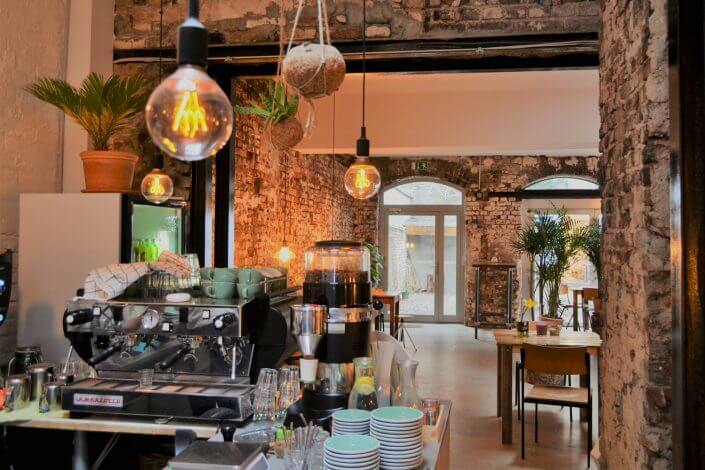 WNDRFUEL maintains a markedly industrial design throughout (think brick walls and rusty metal), interspersed by lots of greenery and retro accessories. The WNDRFUEL buzzwords are smoothies, cold-pressed juices, superfoods and coffee. The Deep Purple (blueberries, banana, ginger, walnuts, coconut, acai, vanilla, lime and coconut water) doesn’t just look delicious, it actually is. 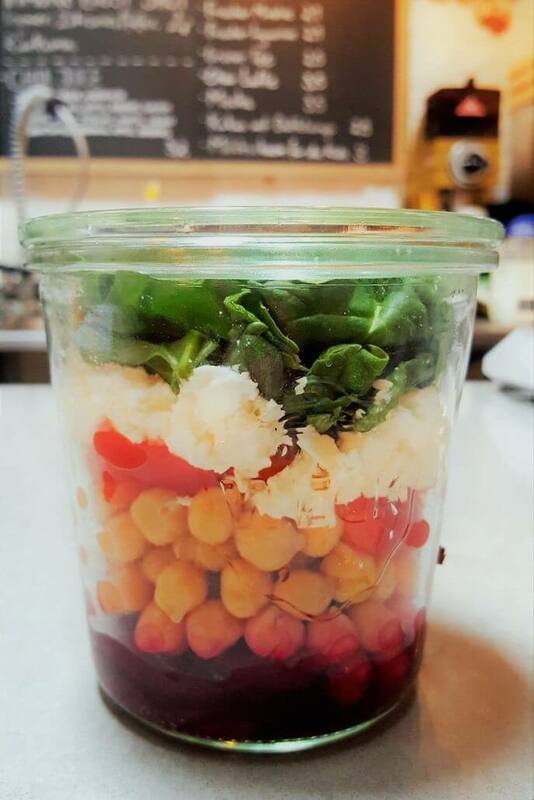 The glass display case groans under sandwiches with red cabbage, mustard and goat cheese or walnut pesto, buffalo mozzarella and tomato. There’s also moist chocolate cake, colourful salads in jars, chia pudding and smoothie bowls with delicious and healthy ingredients. 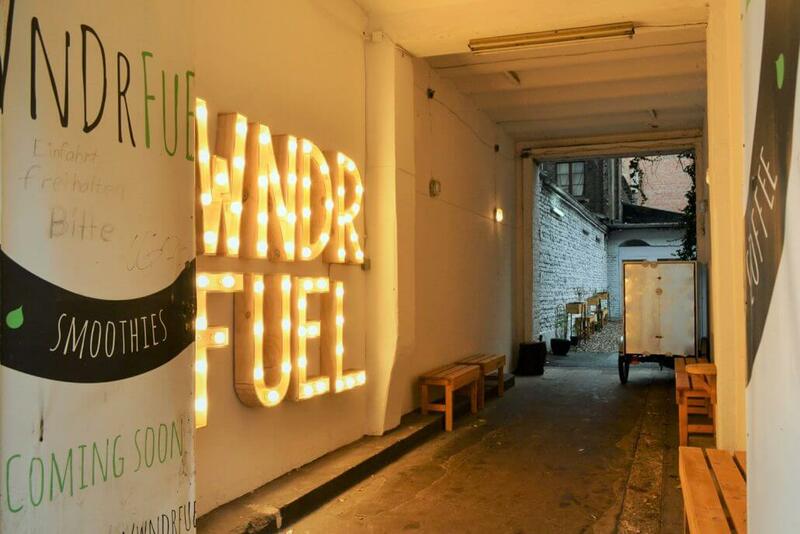 Yep, it really is “wndrfuel”. Mei Wok V is clearly the outlier in this group. 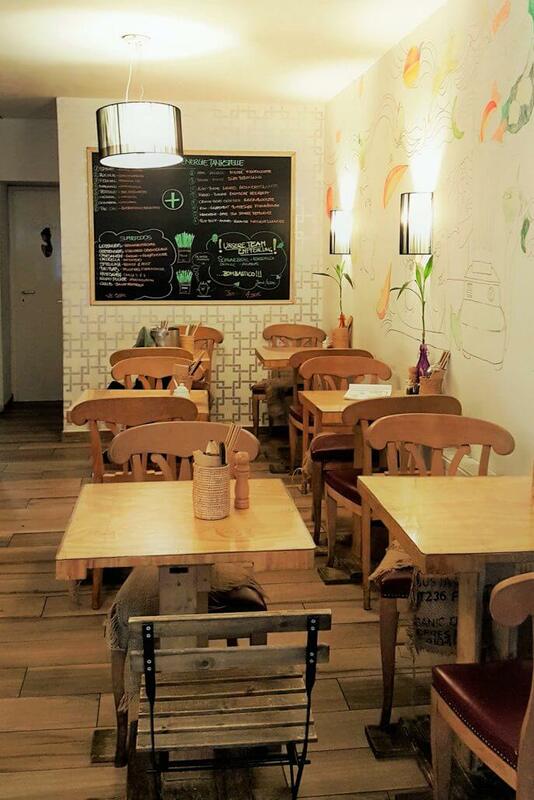 This small joint in the heart of Ehrenfeld district specialises in vegan Asian cuisine and is a neighbourhood force to be reckoned with. 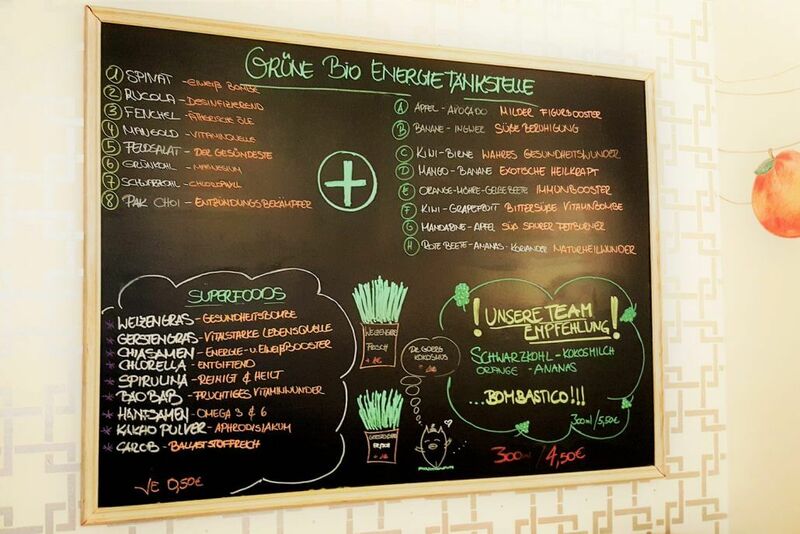 The menu features summer rolls, salads, soups and curries plus my personal favourite section: the green organic energy menu. 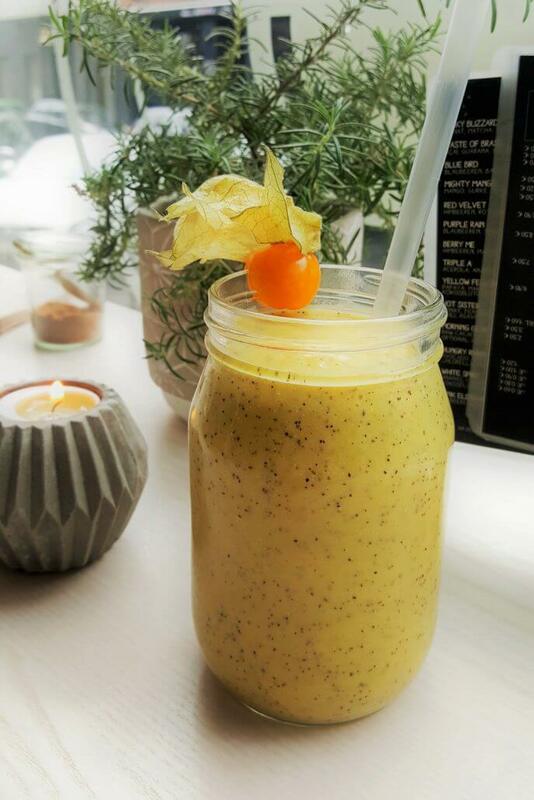 A large wall-mounted board lists various ingredients along with a description of their benefits – so if you choose pak choi and satsuma-apple, you’re buying a sweet-and-sour anti-inflammatory concoction that burns off fat. Very handy! 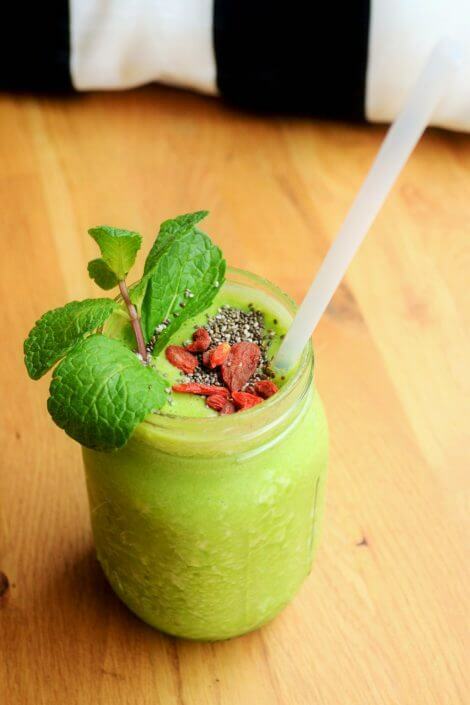 You can add a superfood topping such as wheatgrass, baobab or chia seeds for an extra 50 cents. The Mei Wok team regularly serves a smoothie of the week, such as black cabbage with coconut milk, orange and pineapple. 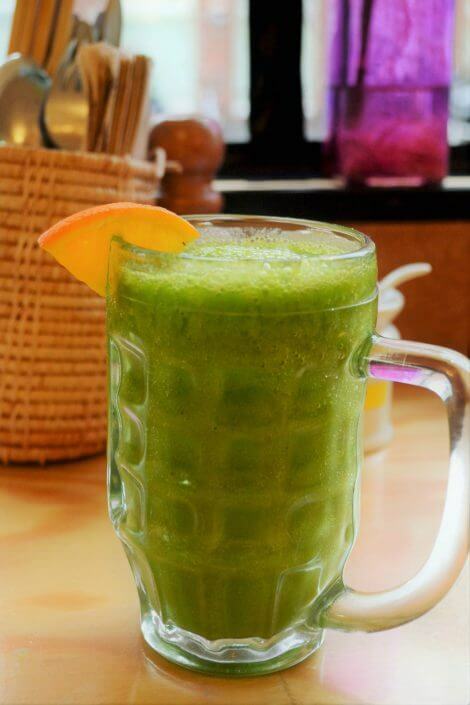 The colourful menu also lists vitamin bombs and immune boosters. Finally, over all that fresh raw food, don’t forget the impressive cake display, with exotic options such as pandan and matcha cake – of course 100% vegan and gluten free. By the way, a second branch has just opened up in Sülz.